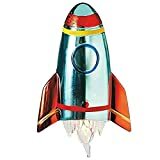 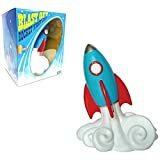 Let your children's imagination fly sky high and beyond before they snooze off into a world of dreams with this cool new Rocket Ship Nightlight from Egmont Toys in Belgium. 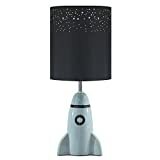 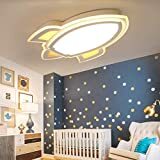 This whimsical little nightlight has a retro rocket ship design and once illuminated, diffuses a warm soft light from within. 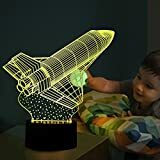 The perfect nightlight for future astronauts and rocket scientists to fall asleep to.